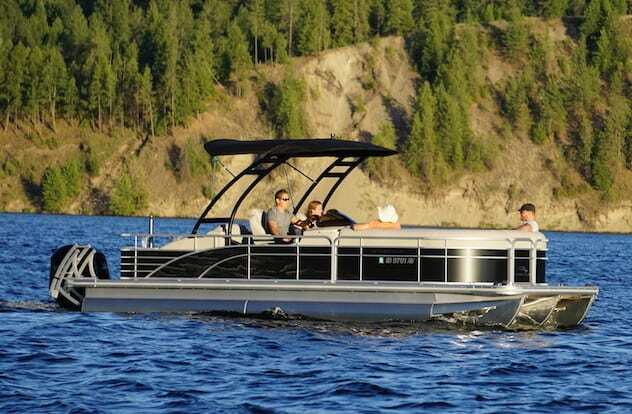 The perfect balance of performance and luxury would be our rental Bennington Sport Arch performance pontoon. Bennington has established themselves as the world leader in luxury and quality with their boats, and this tri-toon does their name proud. Not only does it have a MASSIVE 250HP Yamaha Vmax that can get you up to 50mph, this boat also has Bennington’s ESP tri-toon hull design that provides the ability to carve and bank into corners like a standard open bow. That means not only can you pull skiers and wakeboarders alike, but you can also really hit the turns for an amazing tube ride! 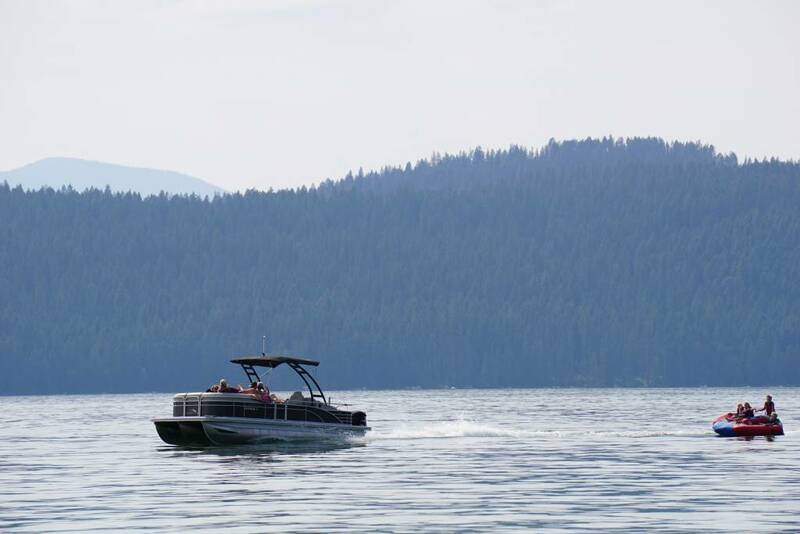 This is the most powerful and capable rental pontoon you’ll find in the Lake Coeur d’Alene, Hayden Lake, and Spokane area. You’ll never look at pontoons the same after you take this one for a drive! Incredible Speed, Performance, and Quality! MASSIVE 250 HP Fuel Injected Yamaha VMAX motor. This is the fastest rental tri-toon ANYWHERE. Larger size is perfect for entertaining bigger groups!